In an effort to persuade the White House to assign a special envoy to address the needs of post-war Democratic Republic of Congo, actor Ben Affleck testified on Eastern Congo before the House of Foreign Affairs Subcommittee on Africa last month. Although the war ended in 2003, the humanitarian situation is still dire. “Women and girls particularly have been so terribly brutalized there,” says Affleck. "They’re vulnerable and they don’t have a government or a stable military to protect them. " 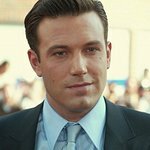 With a designated representative providing shadow diplomacy and co-ordination of the many organizations that already exist, Affleck believes that cross boarder issues and use of resources would be better served, especially by someone who has a direct line to the White House. Affleck’s Eastern Congo Initiative supports particular organizations in Eastern Congo – community-based organizations that show they are having or can have a significant impact on local areas, supporting his belief in ‘Congolese solving Congolese problems’.